HARD WEARING - Provides you with an incredible thick well wearing hardy lawn to last throughout the year. SPECIALISED - The perfect grass seed mix for a hardy lawn expecting regular use. Perfect for well lived in gardens! EFFECTIVE - Used for repairing existing lawns or creating new ones, delivering thicker green grass in just a few days. 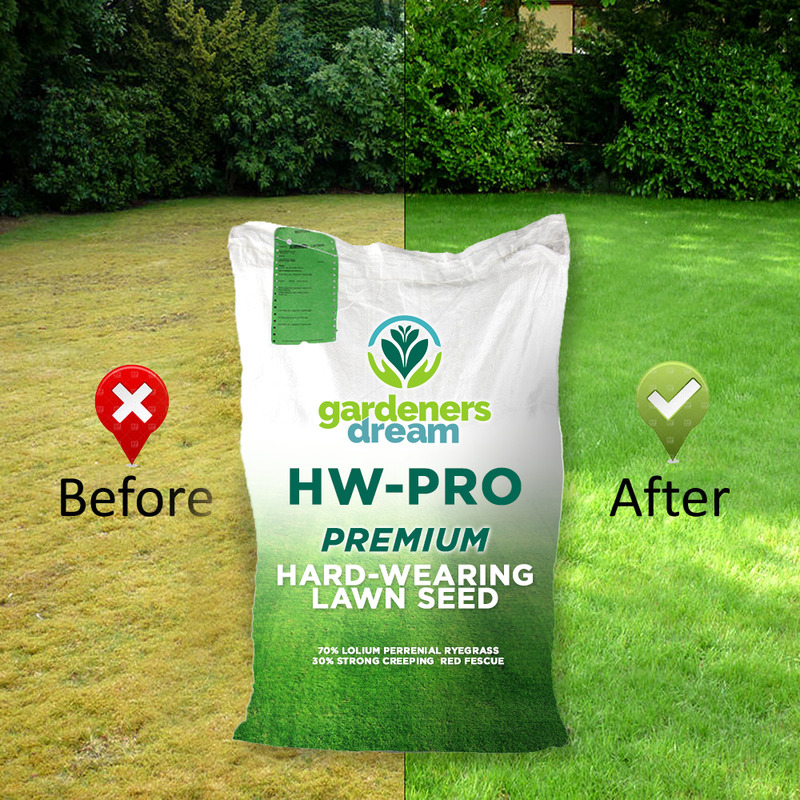 QUALITY BRAND - With renowned quality, GardenersDream guarantees superb results for your lawn. PLEASE NOTE - All orders 5KG or over will be sent in multiples of 5KG bags. Images for illustrator purposes only, orders sent in plain white bags. APPLICATION - 5kg covers 230sq/m using a 35g sowing rate. For new lawns, we would recommend a sowing rate of 75g per sq/m. For quick establishing, lawns, pitches and landscaping. Suitable for lawns and play areas where good value for money is important. When the soil is warm and moist, grass will start to appear in just 5 - 10 days. It is also ideal for over-seeding thin existing lawns or repairing bare patches.